When you finance a purchase, whether it is a significant item such as a car or house or something small like groceries or clothing, you have to pay an annual percentage rate or APR. You’re even charged an APR if you have a credit card or charge account. Many people think the APR means the same thing as the interest rate. While this is one component of the APR, other factors go into determining what it is as well. It’s critical to understand the full meaning of APR before you commit to a credit card or loan, otherwise, you could end up paying more than you initially planned. Even if you get a card with a 0% introductory rate and your goal is to pay the balance in full before interest is charged, you need to know how much interest and other fees you’ll have to pay just in case. As it’s too easy to learn, finances don’t always go as planned. So prepare yourself to make fully informed decisions by being able to compare the APRs of multiple credit offers. 3 How does APR work on a credit card? The APR is the annual percentage rate that is charged to a customer for any amount not paid before interest is accrued. It includes the actual rate of interest as well as any fees that are charged for the purchase. In essence, it is the total cost of financing whatever you are buying. The APR will be higher than the advertised interest rate if there are other charges and it must be included in any disclosures regarding financing. Because each creditor has their own rate structure, penalties, and transaction fees, it can get confusing to understand exactly how much you are paying for an item. The APR is a simple way to provide a base number for comparison. How much a person pays in interest and fees determines the total cost of the purchase. You may compare APRs from different products to decide which one is a better deal. Before deciding on a financial product, it’s important to understand what an APR includes, how it works and how it impacts your finances. The annual percentage rate is only one number you will see on transactions. All of these terms can get confusing if you don’t know what they mean and understand the differences. Another term you’ll see the daily periodic rate, which is used to calculate interest rates. It refers to the interest that is charged on a daily basis on your purchase or loan. Basically, it is the APR divided by the number of days in one year — 65. The monthly periodic rate is similar, except the APR is divided by 12. Here is an example in practical terms. A credit card (or loan) has an APR of 15%. The daily periodic rate would be 0.041% while the monthly periodic rate would be 1.25%. Creditors need to know these numbers because they add interest to your balance on either a daily or monthly basis rather than annually. Another term is the annual percentage yield or APY. It takes into account the interest that is compounded each month, while the APR does not. Say you borrowed $1,000 with an APR of 12%. The monthly periodic rate is 1%, which makes the interest for that period $10. Now, if nothing is paid on the principal, then the balance goes up to $1,010. The next month, the interest charged will be slightly higher because it is compounded on the $1,010 rather than the original $1,000. The APR depends on two factors. First, the U.S. prime rate is the base at which all other interest rates start. This is the rate you hear financial experts talk about when trying to determine if the base rate will go up or down. It impacts all other interest rates. Second, the creditor or financial institution adds a margin rate, which is the amount above the base rate. This rate may stay the same regardless of what happens with the base rate. For instance, the base rate may be 4.9% and the creditor charges a 10% margin for all financing. The interest rate for the customer would be 14.9%. Many loans use a fixed APR, which means your interest doesn’t change throughout the life of the loan. You will most often see this in a fixed rate home loan, car loans, or personal loans. With some home loans, you may have an adjustable rate, which means it changes once during the life of the loan and then sets at a fixed rate for the duration. Credit cards often use a floating APR, which is set for a specific period of time. It changes as the U.S. prime rate changes, meaning you may pay a different interest rate from when you first signed up for the credit card. You may also discover that a creditor provides different APRs for various charges. This is most often seen in credit cards. You pay one APR when you use the card for purchases and another one (usually higher) if you take out a cash advance. Several factors determine your APR, which is the reason it is such a complicated concept. First, the U.S. prime rate has a direct impact on the APR you’re being charged, as does the creditor’s margin rate. On top of those set influences, other variables affect the specific APR you’re offered for your credit card or loan. Most importantly, your credit score impacts whether you have a low or high APR. Someone with a lower credit score pays a higher APR than someone with excellent credit. To make this fair, creditors must follow specific rules they set in place for all customers. While they can charge customers different rates, it must be within the company’s guidelines. For example, a credit card company may charge a 10% APR for customers with a credit score over 700 and a 15% APR for customers with a score below 700. Under this set of rules, they could not charge a 10% APR for one customer with a 705 score and 15% APR for a second customer with a score of 703. 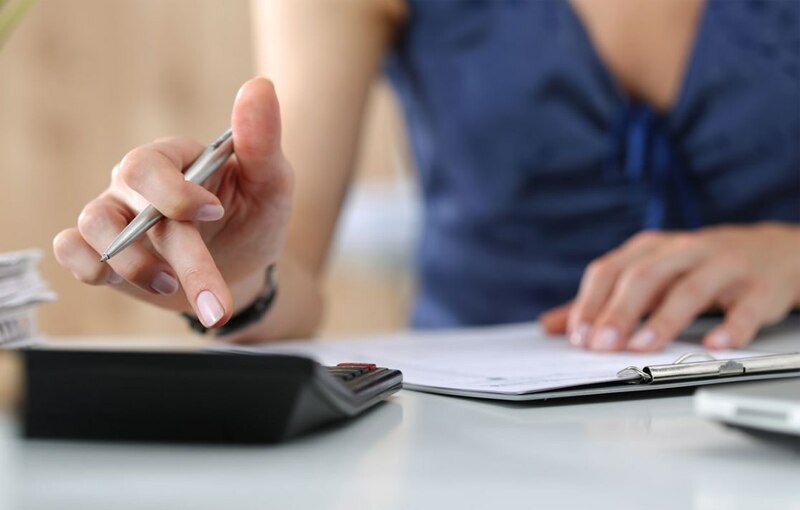 Creditors can also charge special APRs for certain situations. You’ll often see this in practice when a credit card offers a 0% APR for the first 90 days for new customers. The introductory APR is in effect only for a limited time and it may come with restrictions, such as not being available for balance transfers. Penalty APRs are in place for people who make late payments or violate their agreement in some way. This APR goes into effect for all future purchases, but it may be lowered if a customer proves to be responsible with the rest of their payments. Some credit card companies charge a special APR for balance transfers. You may see ads promoting a zero percent balance transfer rate. This is typically in effect only for amounts transferred from another credit card and doesn’t include new purchases or cash advances. It is usually only in place for a limited time before a higher APR goes into effect. It’s important to pay attention to these details, otherwise, you could end up paying more for your balance transfers or new purchases. To know the full cost of a financial product or credit, you must compare the APR with the competition. Just remember that the APR includes special charges such as annual fees, but it won’t include late payments or other special fees that can’t be calculated ahead of time. Sometimes you can negotiate a lower APR. For instance, if you have been a loyal customer who has paid on time, you can request the company to review your account to see if you qualify for a better APR. Changing an APR is at the discretion of the company, so there’s no guarantee you’ll get it. However, it can be an option for valued customers, especially if you have a similar offer from another credit card company. In some cases, you may also be able to negotiate a lower APR if you are struggling to make your payments. In this situation, however, the creditor may close out your account because they don’t want you to run up your balance again. When considering an APR in a home mortgage, you can pay points to lower your interest rate. Points equal a certain sum of money due at closing to reduce your interest rate. Because home loans are set up for 15 or 30 years, paying points for a lower rate could save you a lot of money over time. APRs may seem like a complicated component of financing a purchase, but they’re really a helpful educational tool to help you compare credit offers. APRs have a major influence on how much you’ll pay for anything you choose to finance so it’s important to understand exactly how they work. Don’t be afraid to ask questions and read the fine print about your APR to ensure you’re getting a good deal.